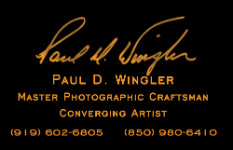 Award Winning Portrait and Fine Art Converging Artist Paul Wingler is a native of Indiana. 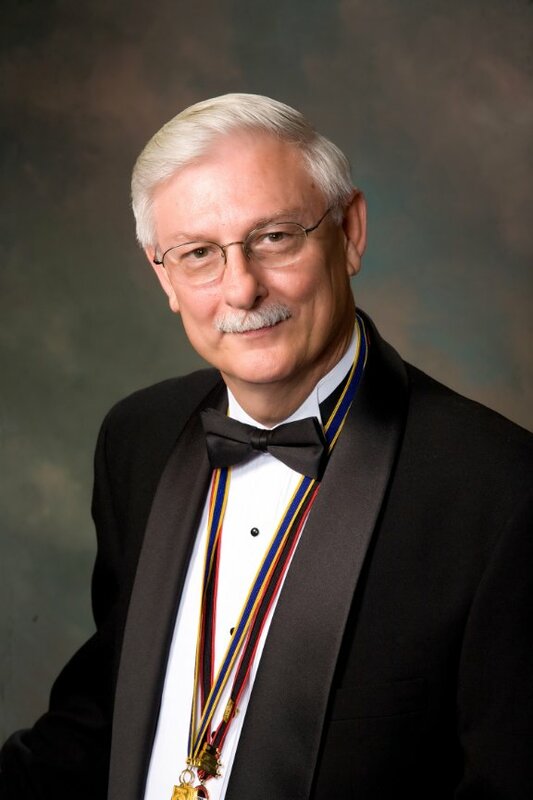 After graduating from Cascade High School in Hendricks County Indiana, Paul toured with the U.S. Marine Corps Band from 1973-1977. Paul then moved to North Carolina and took some basic photography classes at the Durham Arts Council in Durham, North Carolina, he pursued his studies at the New York Institute of Photography where he earned a certificate of graduation. Since then he has studied with various photographic artists at the East Coast School in North Carolina. He also completed a five year study with Master Photographer and ASP Fellow Jay Stock, as well as other noted photographers. After his studies, Paul's quest began to merge the fine arts and storytelling style of work. His passion for creating fine art and telling stories through his imagery didn't stop when the digital age came into play, but rather was another journey to merge the old with the new and still maintain his style of work. As Mr. Wingler continued to define his art, he found it more as a converging art form through his use of various substrates (materials) and the old masters concepts, plus the use of digital technologies. He began to shape a new style-a new era to his art. Paul continues to create "traditional" style portraits for his clients, as well as continuing his own unique style in the art world. 2016 Exhibition at Carnegie Hall, Lewisburg, West Virginia. 2014, Exhibition at the Woodrow Wilson Center in the Ronald Reagan Building in Washington, D.C.
2013, National Museum of Identity in Tegucigalpa, Honduras. collection will be exhibited in every Honduran Consulate in the U.S., as well as, at the United Nations. Today Paul continues to teach, lecture, and judge throughout the United States, and South and Central America. Through these venues many other opportunities have come about from the basic principal of educating and encouraging the craft. His art can be seen at various galleries throughout the United States. He has also published a book “Honduras” which may be purchased via his email. For information about Paul’s Domestic and International Workshops, you may contact him at paul@pwphoto.com or call him at his studio at 919-471-6208 or in the US at 800-483-2608. For a downloadable version of Paul's CV, click here.